The incredible sport with a long and rich history is rather foreign for many of us. My introduction was through my son who decided to try out for the high school crew team. Over the first year I witnessed so many different personalities work together for one goal. Notably overtime the act of rowing in the same boat 5 days a week shaped itself into unparalleled teamwork both on the water and life. Undoubtedly lifelong friendships were forming. Rowing is a very technical sport and if you chose to row at the club level, they will teach you everything technically you need to know, the only real key to rowing is the ability to manage physical and mental suffering. Step one is interest. If you’re interested, as with any hobby, sport, job etc, if it’s interesting to you, you’ll enjoy being there and taking part. Second, you are sharing the experience with a group of like-minded people. You will spend much of your time with them, workout with them, party with them, share in victory and defeat. Third, you will get in incredible shape. You will see results within weeks and you will likely never loose the fitness mindset. Rowing is one of the most intense and well-rounded physical fitness programs. Almost every other workout routine will become easy. Fourth, rowing itself is an awesome activity. Balancing power and control is the essence of rowing. There is nothing so exhilarating and powerful and balanced and nearly out of control than finally feeling the boat moving almost effortlessly through the water as if you are just tapping it along with explosive cannon fire. When you finish rowing, your brain releases a surge of chemicals that promote healthy behavior, commonly called a rower’s high or a runner’s high. This helps your body enforce the idea that regular exercise is fun, and on top of that, humans are naturally social creatures, and rowing is about as much of a team sport as you can get. The bottom line: join the team for at least one year. Give everything you got and you won’t regret it. 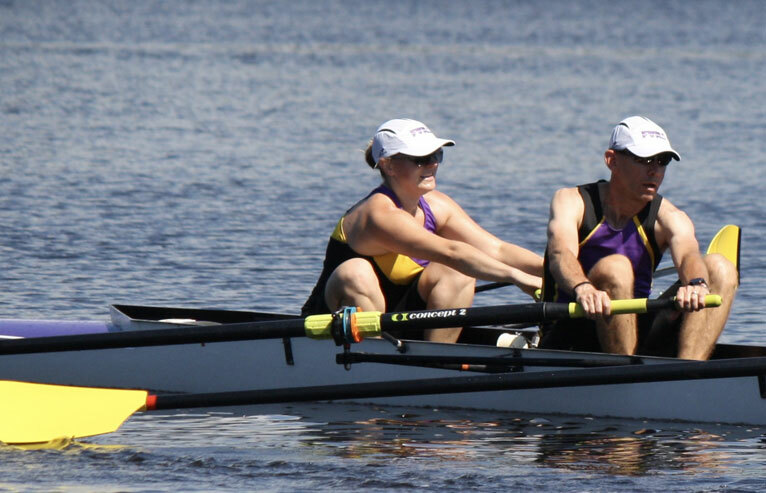 Ultimately what you should know is that if it works for you, rowing will give you a lifelong love and passion for exercise and teamwork that will surprise you. You should also know that, at least in my case, the process of getting to a stage where you start enjoying the sport was long and at times without any measurable progress. I found it simply the most complicated thing I had done, to balance, to row, to keep in harmony with the others, to power the boat, to get my oar in and out of the water properly. But once I got there (there is no ‘there’, you can always improve), the rewards far outweighed the struggle.